Startups from Developing Countries are Fixing 4 Major Problems - POINT - The easiest volunteer app, everrr. Where there are problems, there are opportunities. And there is no shortage of problems in developing countries. There are some pretty amazing people out there solving some of the developing world's biggest needs using tech. But starting a business, building an app, or launching an organization takes some serious money - which is why some investors have been following these eager entrepreneurs and bringing venture capital to these regions. The Savannah Fund makes seed-stage investments (very early stage) in Kenya and East Africa to empower people to create solutions to some of the region's most pressing issues. With or without venture funding though, there are some majorly exciting start ups in the African community. In a global community that is connected by the glorious invention we call Internet, those that don't have access are at an automatic disadvantage. South African startup Skyrove has created hundreds of WiFi hotspots for businesses to use. They even offer WiFi analytics for the businesses to learn more about their consumer market. Mawingu is another mobile internet provider, but they focus more on rural communities by providing solar powered WiFi routers that use untapped TV white space. Oh, by the way, Microsoft thought it was an awesome idea and reached out a couple years ago to partner with them. Pretty neat! About 85% of adults in sub-Saharan Africa own cell phones and people are getting pretty creative with how they can utilize them. M-Kopa (owned by revolutionary mobile banking provider M-Pesa) sells solar powered home electricity units that customers pay for using their cell phones. Energy doesn't just mean electricity though. Cooking is actually a very dangerous activity in some regions and open-fire cooking accidents result in about 4 million deaths per year. African Clean Energy created a cookstove that runs on any type of biomass and is smoke-free and portable. PLUS burning the biomass produces enough energy to cook food and power a light or charge a phone. We are super fortunate to be able to stay updated on events happening around us because we have such easy access to TV, radio, and the internet. But for many people in Africa, they have no way to stay updated on relevant events. Ma3Route created an app to help Kenyan users stay up-to-date on traffic accidents, bus schedules, and route options. Global Citizen compared it to the Twitter for traffic. Africans are even developing their own social media platforms that serve bigger purposes than just sharing and liking friend's activities. For example, Ushahidi helped keep Kenyans up to date on the events and violence from the 2008 elections, and is now widely used to crowdsource information on everything from events to natural disasters. You may have read Adrienne's post last week about #62milliongirls without access to education, and some amazing startups are working to reach a couple million of those girls (and guys, they don't discriminate). Obami creates easy to use web platforms for educators to create content for their students that is customizable to their goals. They've helped village schools and online education centers teach more effectively. 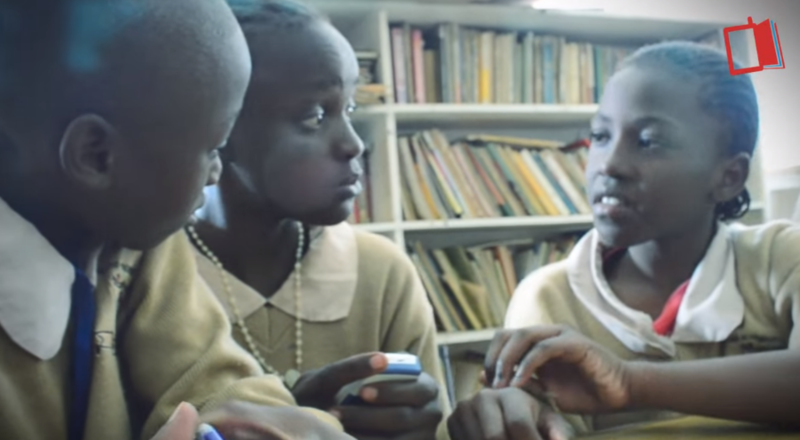 One of the coolest education innovations, however, was created by Eneza. About 93% of Kenyans already have phones and Eneza lets them take courses, look up information, and talk to teachers using basic SMS. How cool is that?! Forget Silicon Valley, the next up and coming innovation hub is the Silicon Savannah! I can't be the only one that's stoked about this, let us know which startup you think is the coolest on Facebook or Twitter!